A delegation from Soegijapranata Catholic University (SCU) in Indonesia, led by their Rector Prof. Dr. Ridwan Sanjaya, visited Lingnan University for benchmarking purpose on 6 December 2018. 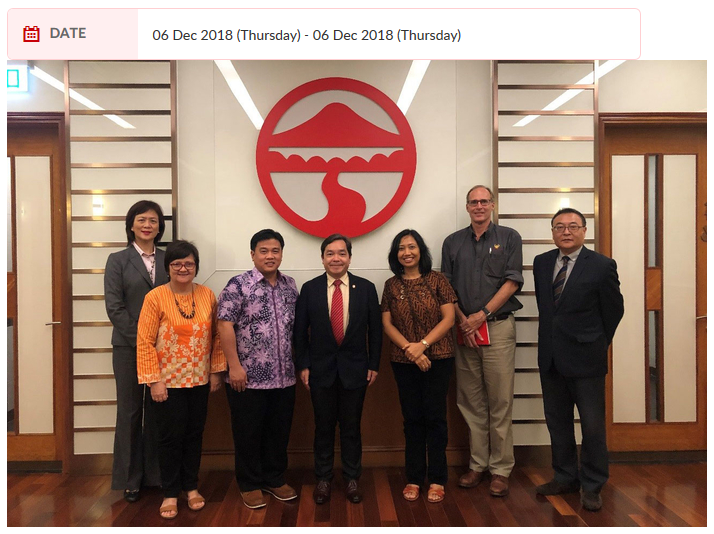 During the meeting, Professor Joshua Ka-Ho Mok, Vice-President of Lingnan University introduced our liberal arts education to the delegation. Dr. Marcella E. Simandjuntak, Dean of the Faculty of Law, SCU, Dra. Cecilia Titiek Murniati, Vice Rector for Academic Affairs, SCU, Prof. Mark McGinley, Director of Core Curriculum and General Education Office, Prof. Eugenia Ng, Director of Teaching and Learning Centre, Mr. Edward Shen, Registrar and Ms. Angela Ng, Acting Director of Office of Global Education also attended the meeting to exchange ideas on our core curriculum, general education, teaching and learning, academic programmes and student exchange programmes.